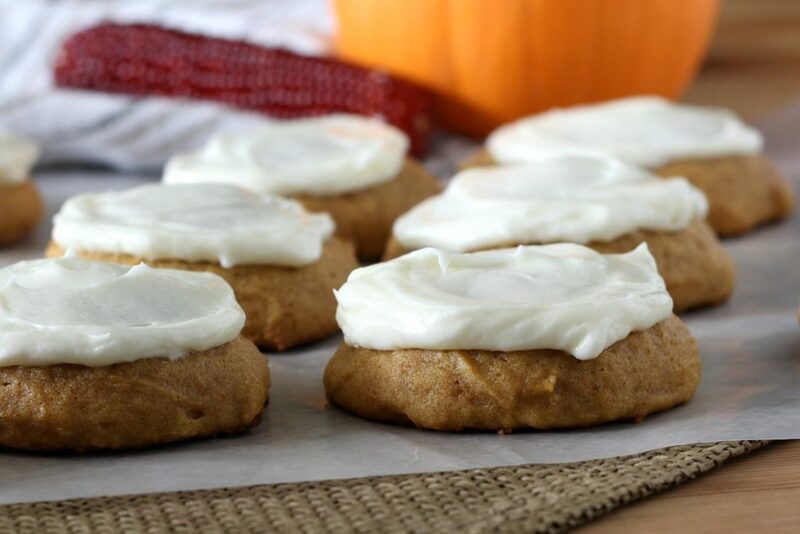 These Cream Cheese Frosted Pumpkin Cookies are very similar to those cookies recipes. All are based on my family’s favorite soft pumpkin cookie recipe. I switched it up here and included cream cheese frosting, because pumpkin and cream cheese are such classic fall flavors. 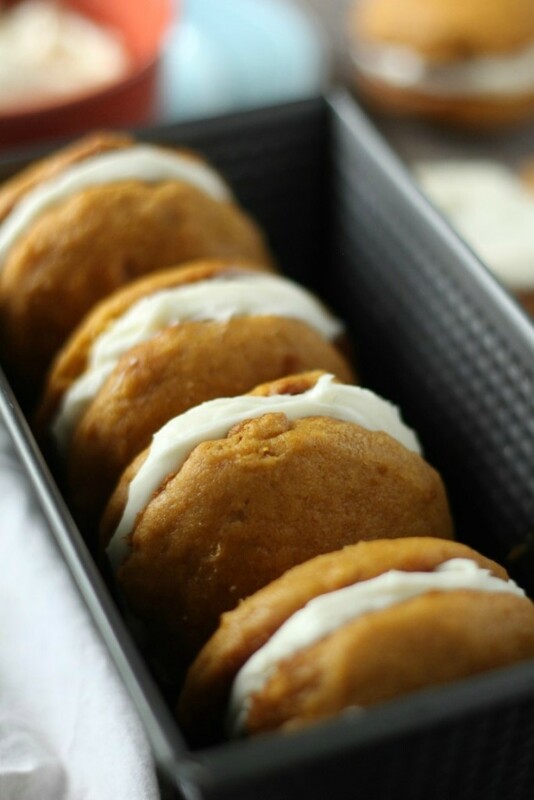 I don’t think you can find an easier pumpkin dessert than these pumpkin cookies. It’s a pretty standard cookie recipe. First cream the butter and sugars, beat in eggs and pumpkin and stir in the dry ingredients. Then bake them up. (Okay, maybe pumpkin bars with cream cheese frosting would be easier.) There is only one baking session there. I’m keenly aware of how long it takes to bake cookies now that I have such a small oven. Six cookies at a time is painful. 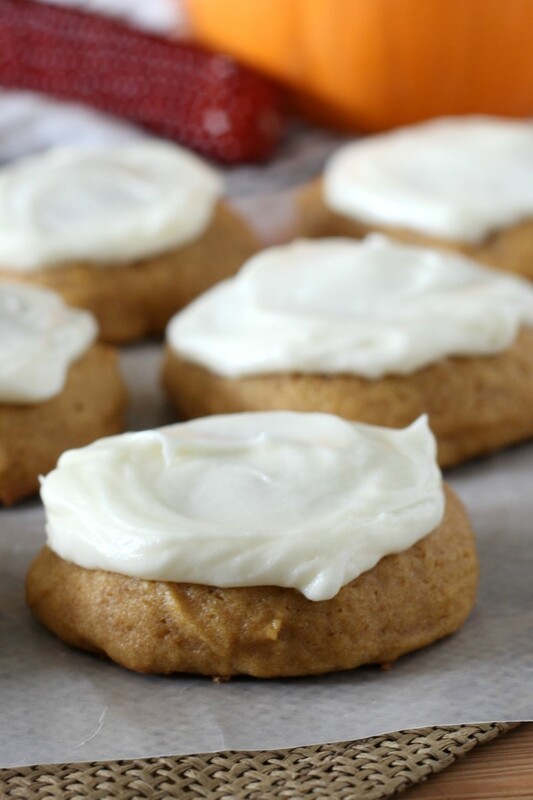 Once the cookies are cooled, whip up the cream cheese frosting and have fun! Try not to eat too many at once. Cookies with cream cheese frosting should be stored in the refrigerator for best food safety. They will keep several days in the fridge. Don’t tell, but we’ve kept them on the counter for a day or two without any problems. 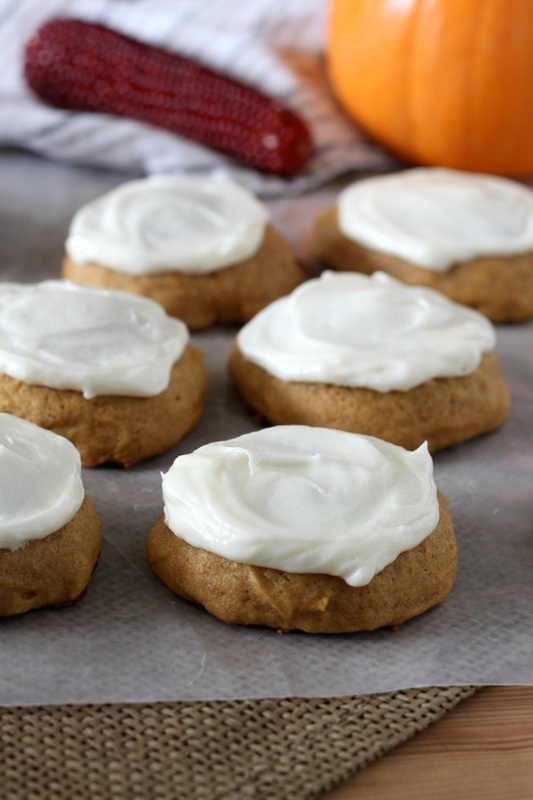 The cookie part stores better on the counter, while the cream cheese frosting should be in the fridge. It would be best to wait to frost them until you serve them, but if that’s not possible, store them in the fridge until serving. Preheat oven to 350 F. Drop dough by rounded tablespoons onto cookie sheets. Bake for 12-14 minutes or until edges are slightly browned. Do not over bake. Let cool completely. To make the cream cheese frosting, best the softened cream cheese and butter together with a mixer. Beat in powdered sugar, vanilla and salt until smooth. Frost cooled cookies with cream cheese frosting. 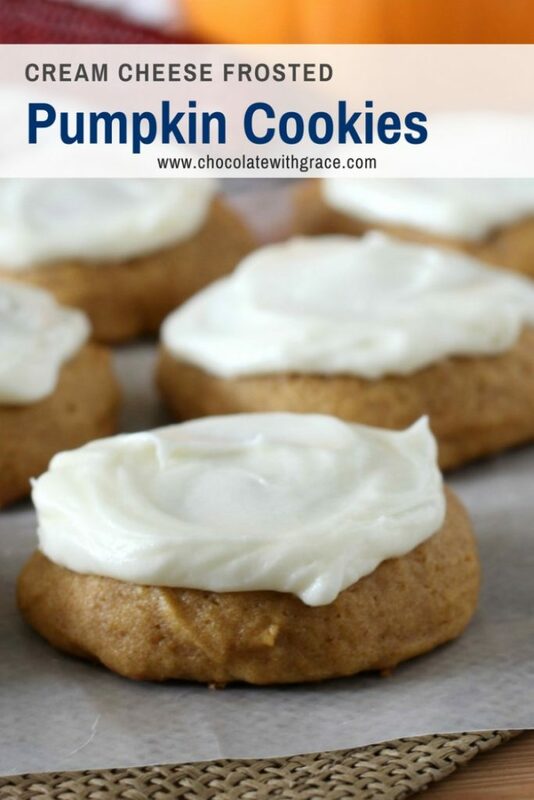 If you’re looking for other cookies with cream cheese frosting, these all sound amazing. 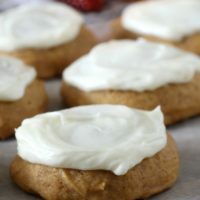 Or if you’re only in a fall mood, Cinnamon Roll Sugar Cookies with Cream Cheese Frosting by I Heart Nap Time sound delicious. Or if Christmas is on you’re mind, check out these Soft Peppermint Cookies with Cream Cheese Frosting from Chelsea’s Messy Apron. 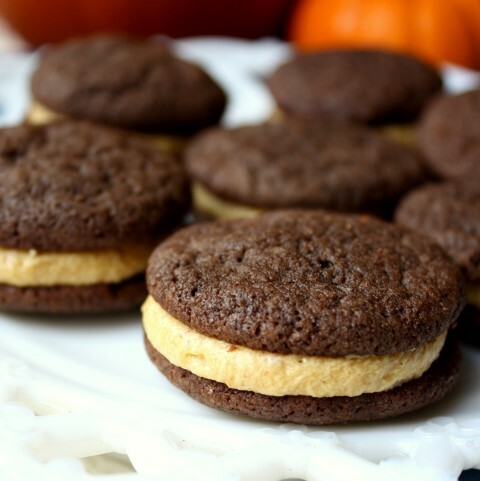 Here are some Pumpkin sandwich cookie recipes from my blog that are also favorites.